While most are asleep fires of revolution and spiritual revolt are brewing in the hearts and minds of many Americans. In the news and from the venomous mouths of politicians and powerful industrial interests you may never know this but rest assured it is a reality. The same can be said for areas of Europe and Russia, though there is a major difference. Europe and Russia appear to be choosing another master rather than a true liberation of the spirit alas trading one master holding the cursed chains of the spirit of gravity for a different one, this master being the deceptive conservative belief. In America more and more people have given up on both conservative and liberal slavery and thus have turned to the spirit. One need only look at Aleksandr Dugin and his treacherous parasites that contaminate arguments with the poison of Eurasianism and lead many astray with the illusion of a solution. This solution is false and is nothing more than a chain binding down the spirit and trapping it with yet again more materialism. Alas, what they have chosen is the illusion of a victory over the current “ruling class” yet only offers nothing more but the same. This is hardly a solution to the problems that the world now faces and will only lead to the very same results. Azsacra Zarathustra the mystic philosopher and spiritual revolutionary brings new weapons of overrevolution. These weapons are like rockets that propel the spirit upwards with the momentum of lightening snapping the very chains that the masters hold. What is needed in Europe and Russia or further even the whole world is not the conservatism of the parasitic broken brains and cackling hyenas but the revolutionary philosophy of Azsacra Zarathustra! Conservatism, especially that of today, lacks all traces of true spirituality and is purely material. Only with the absolute revolution can the Overman exist and further can the over without man exist! In America this absolute revolution is possible and through this revolution a new American experiment can be created though not through democracy NEVER through Democracy! It may seem strange for an American to speak against democracy such as I have but it is necessary that it be replaced with a spiritual playground of absolute freedom. Democracy, as it stands, is simply the rule of the majority which means that there is still the possibility that the majority will act out against the spirit and yet again bind it down with chains. Democracy is also part of the very same spirit of gravity that binds the spirit down through materialism. It is a system, much like all other systems, that replaces true spirituality with the cult of the material and matter. In order for a rise of the Overman and for it to discover itself as the Over without man, the Overman must have a playground where the might may be exercised and not be chained by the dreadful leeches of state and economy. It is only through a revolutionary new experiment that the spirit of gravity can be overcome, an experiment that is very much similar to the philosophy of Azsacra Zarathustra. What then is this experiment? 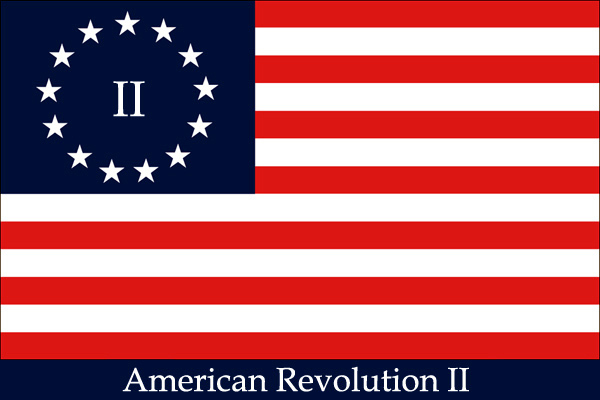 What is it that the idea of the 2nd American Revolution combined with the revolutionary philosophy of Azsacra can create? I tell you, just as Nietzsche’s Zarathustra told you of the Overman, America can become the experimental playground for the Overman! As Azsacra tells us of needing the absolute risk, the 2nd American Revolution can break through the leviathan that binds freedom with the power of a thousand hammers thus creating the absolute risk of freedom! Through this absolute risk the Overman can strengthen the overmuscles as well as the spirit until an absolute break of the spirit can occur and the Over without man can be born! But as Azsacra’s philosophy discusses the absolute risk is necessary and this absolute risk is the absolute risk of freedom. What is more deadly and fierce than man in freedom or further the Overman in freedom? The absolute risk of freedom is the only way that the spirit can break against the damned spirit of gravity. It is the only way that the hammer can be lifted; crushing all that seeks to bind it again. It will create that weapon that is necessary to decimate its enemies and liberate all! Azsacra and his Theory of the Destruction of All Systems are very much in line with the idea of a 2nd American Revolution. 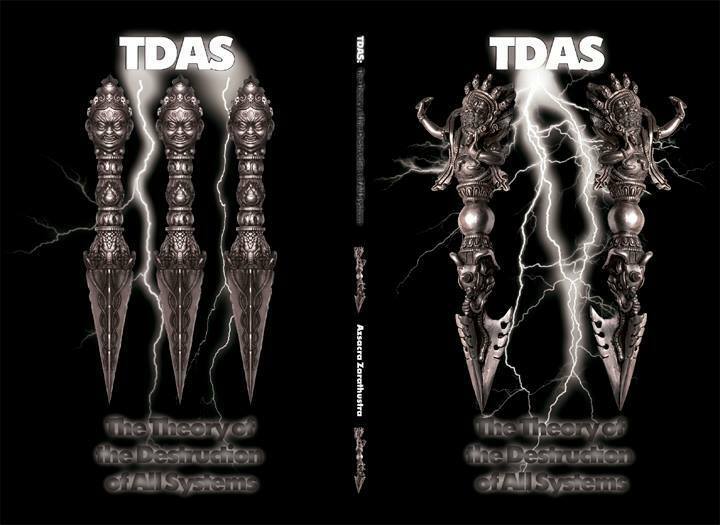 With TDAS Azsacra continues the legacy of Nietzsche and furthers it; while Nietzsche taught that one should philosophize with the hammer Azsacra goes further and shows how to use the hammer and smash to millions of fragments the chains that bind the spirit. Not only does his rebellious and revolutionary philosophy accomplish this but he also helps to solve the riddle of the Overman, something that many so called “philosophers” and “Nietzschean scholars” have failed to do. To quote Azsacra’s TDAS: “The Over-man is the biological and spiritual masterpiece of the Will to Power created Not by the man or God, but only by means of the Over – The Over-Over…Therefore the Final Secret of the Over-man is Not the ‘overman’ as ‘the higher political authority’ and the ‘indispensable state,’ but only the Over without ‘man’ and the ‘state’.”  These powerful words offer an insight to the riddle of the Overman of Nietzsche and teach of the very essence of the Overman and that is the Over! Through freedom and absolute risk, as I have mentioned earlier, will lead to the break of the spirit, a break that is not meant to completely destroy the spirit but to strengthen it with the power of lightening and thus attain the Over without man. This very thing which causes the death of death! Yes! Azsacra’s philosophy teaches what has long been thought to be attainable, that the Overman CAN be attained! Yet his philosophy and revolution of the spirit goes much further; as Nietzsche said man is something to be overcome, Azsacra shouts with the roar of the lions that so too the Overman is to be overcome. With TDAS he gives the formulas and puts into words how this can happen. As I have said earlier about the break of the spirit you must be tried, you must put yourself into that which is the utmost and absolute risk. Taking the venomous bites of serpents and scorpions, engulf yourself in flames of immense pain and by doing this you will learn to overcome death itself! Taking the overman BEYOND death, beyond pain and suffering, and transforming it into the Over without Man! Only with Nothing to Power and Emptiness to Supremacy can this occur. Azsacra’s philosophy can be seen as an atomic bomb to the philosophies that came before it, a truly revolutionary philosophy that is the only hope in freeing the spirit from the chains of the spirit of gravity! Through Nothing to Power and Emptiness to supremacy the Nietzschean Overman can be obtained and the great midday of Nietzsche will finally occur! Unlike the so called philosophies of the modern era who only offer their opinions on what has been said by philosophers of old or who can only try to kill God, metaphysics, and spirituality; Azsacra’s philosophy offers real solutions and decimates the little men of material matters with the force of an atomic bomb. YES! What is needed is a revolutionary and rebellious philosophy that seeks to break the chains of the spirit. It is needed to lift the spirit up like a bird of prey, flying upwards at great speeds then flying back to attack its prey. The prey being those who would seek to bind it back with the same damned spirit of gravity that prevented it from rising in the first place. Azsacra’s philosophy is that of a pure spiritual revolt and gives great insight on how to use the body as the vessel and to stand from the highest peak and proclaim a loud and might holy YES to life and a NO to death! Through great blows to the heart, the body, and the spirit itself a holy Yes can be proclaimed! With TDAS you will learn that it is not that you should be question how much pain you can take but what pain will actually hurt you. It is that which tries to the spirit and breaks it, only to have it rise again stronger! These ideas of Azsacra Zarathustra do indeed connect to the idea of a 2nd American Revolution. In America I have personally witnessed, in recent years, rebellion against both the state and the materialistic heads of industry. I have seen people take flight to their various capitols and storm them chanting slogans against the government and others take flight to the banks and other false prophets of materialism. As the years have gone by the rebellious sentiment has only increased! 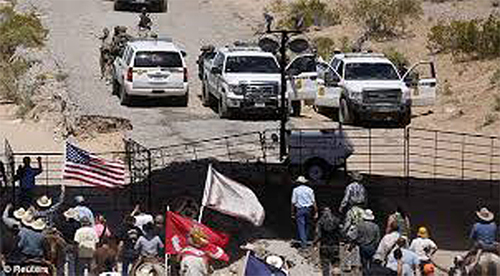 We have recently seen some take up firearms against the government officials at the Bundy ranch in Nevada, going so far as to charge federal agents on horseback and point assault weapons at these agents of the state with the spirit of the old west! This rebellious sentiment is not like that of the Europeans who turn towards liars, profiteers, and false prophets who arrogantly program “give us control of the state and we shall save you.” NO! In America these revolts say “we are tired of your failures and your binding chains, if you don’t give us freedom then we shall take it ourselves!” To me, this represents a holy life affirming and powerful YES to life! 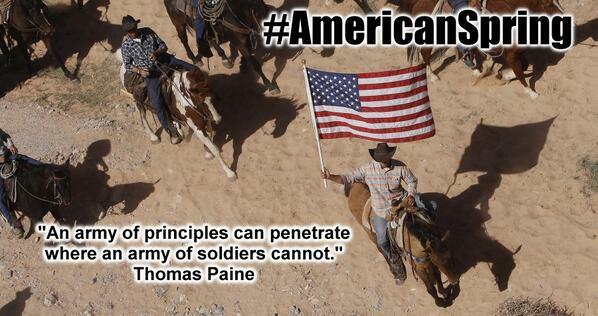 Deep down they are proclaiming a wishing of the absolute risk of freedom! Truly by choosing the conservatism of the missing tooth grins of the broken brained buffoons, Europeans and Russians are only chaining down their own spirits and not allowing them ascend only upwards with the speed and flash of lightening! Alas my brothers and sisters across the ocean are giving a unholy and damned NO to life. Only in America can freedom truly be saved and the playground for the Overman be created. This playground shall become the great field through which the spirit is tested through conditions of the pure risk of absolute freedom which will be the absolute risk. This playground must exist so that the spirit can be tired and tested until the point of break, after this breaking point the spirit will propel upwards against gravity itself! With the American revolt against both state and economy the chains of materialism can be broken and the spirit can rise. I would go so far as to say that this revolt is a revolt of the spirit itself! It seems that the fire burning within the Americans who call for a 2nd American Revolution is truly a revolt against rule of man, material, state, and economy. This revolt is a revolt that longs for the absolute risk of freedom with all the great dangers that are associated and with this freedom the rest of the world can follow. It was once said that America can be a nation that could be a light for all other nations, it could be that yet again by allowing the great revolt of the spirit. 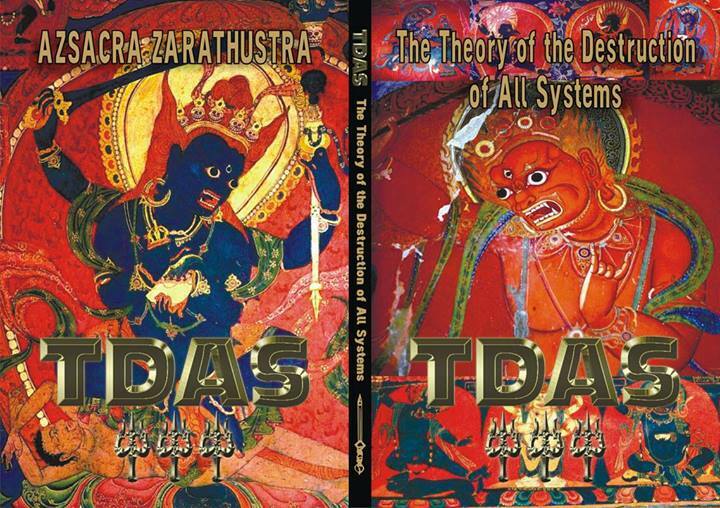 Azsacra Zarathustra “TDAS: The Theory of the Destruction of All Systems” (Extended Edition), India, Cyberwit.net, 2014, 104 pages. Conor Wrigley is a writer, musician, and philosopher from the United States of America. He graduated from Millikin University where he studied political science and philosophy. 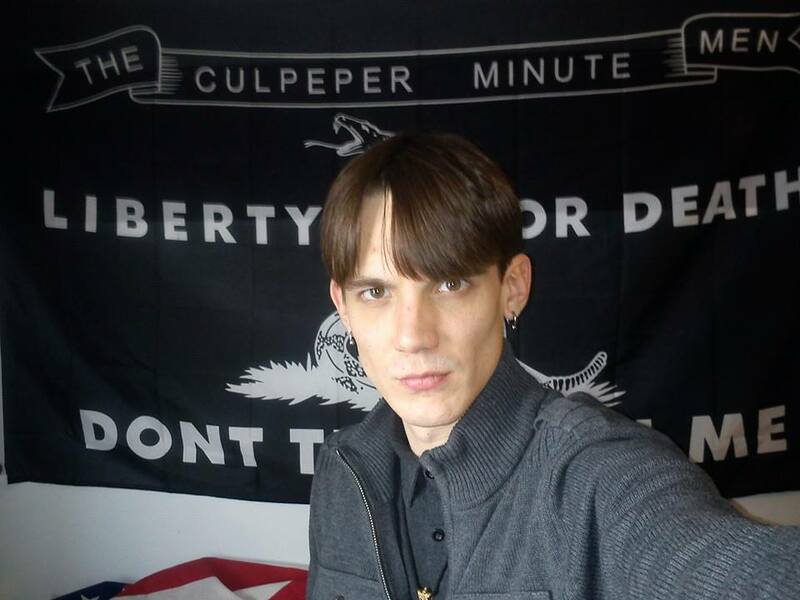 His studies began at an early age with a deep interest in the philosophy of Nietzsche and a heavy interest in metaphysics, politics, mythology and esoteric and occult topics which he continues to study today. In his free time he likes to read various works of poetry and literature as well as spending time in nature and working on various music projects. He resides in his home town of Decatur, Illinois in the Midwest of the United States. What is a revolution without the spirit? What is a system or ideology without the spiritual component? The answer to these questions is complete failure and inevitable decay. All systems of governance, philosophy, etc. are failures for this reason as they do not contain any essence of the spirit at all but in fact seek to contain the spirit, to bind the spirit, and to chain it down as means of controlling it. Every system can be understood as the chain that wraps itself around the spirit and thus binds it to the ground and imprisoning it with the cursed spirit of gravity. This is why they ultimately fail as the spirit eventually lashes out and breaks these chains for a split moment; however, once the chains are broken the new system put in place then binds the spirit with a new type of chain and thus the cycle is continued. That being said, it seems inevitable that each revolution against a system or systems will inevitably lead to yet another trap that binds the spirit with the cursed spirit of gravity. Can this be overcome? The answer to this question is YES if one realizes the power of the concepts laid out by the philosophy of Azsacra Zarathustra and his Theory of the Destruction of All Systems. TDAS is the weapon that is needed to crush these systems with the hammer and smash to pieces those who seek to chain the spirit. Today we live in a world that is bound by the chains of materialism and greed. Our so called “world leaders” fight endlessly FOR the spirit of gravity hoping to chain down our spirits to prevent them from rising against the spirit of gravity and into the over. Yet at the same time they know that they are losing their grip on the chains and that the slaves shall soon cast them off and become the new masters. A spiritual revolution is inevitable! However, there are those who wish to take advantage of this fact and bind the spirit back down with the cursed chains such as Aleksandr Dugin and the Eurasianists; alas, false revolutionaries. Treachery is being committed by many and it seems as if the only answer to the current materialistic system is to replace it with another materialistic system; however, this is false! Azsacra comes with a flash of lightening baring weapons to cut at the throats of the den of vipers, teaching us how to obtain Nietzsche’s Overman and how to go beyond that and attain the Over without man by casting out this world of illusion and proclaiming a holy YES to life and a NO to death! All modern systems and –isms such as communism, fascism, socialism, conservatism, liberalism, even anarchism, etc. focus on the material and not the spiritual; thus they are all part of the same cursed spirit of gravity. While some contain aspects of the spiritual they ultimately bind the spirit in order to contain and use that power. Whether this is done consciously or unconsciously it matters not as they are all guilty of binding the spirit. While certain –ism’s, states, and systems have seemingly AT FIRST gave the spirit a chance to rise above they have ultimately failed in doing so and as pointed out earlier quickly became the chains binding it once more and imprisoning it. Alas, they only wish to bind and control the spirit as to use it for their own personal gain and to keep you trapped within the realm of the physical. They commit spiritual treachery by using the damned spirit of gravity against the spirit causing man to not be able to transition into Overman and going further into the Over without man. This is treachery of the worst possible kind as it traps all life in the realm of the physical. It can be understood that for a revolution to be successful it must destroy the spirit of gravity with the force of a nuclear bomb. The revolution and thus the revolutionary must lay absolute waste to the spirit of gravity and decimate the damned system otherwise the revolution will lead to the same outcome of the previous revolution. What all revolutions have thus far failed to bring forth is the weapon to smash the chains and kill the masters; alas, they have all played into the hands of this cursed spirit of gravity and produced only more materialism. The revolutions of the past have created the illusion of victory but ultimately have led back to the very system that they sought to replace; this illusion is the ultimate enemy of the true revolutionary. Azsacra’s philosophy is the weapon that is needed to achieve the victory that the past revolutions have failed to bring. TDAS IS that nuclear bomb that strikes with procession and lays absolute waste to all systems and –isms! The weapons that he brings to crush these failed systems and –isms are TDAS, Nothing to Power, and Emptiness to Supremacy. Unlike the so called revolutionaries of modern “philosophy” Azsacra offers a truly revolutionary philosophy that will ignite the spirit of those who follow it. Through TDAS one can learn how to use Nothing to Power and Emptiness to Supremacy to obtain the Nietzschean Overman but going further surpasses even the Overman and reach the Over without man. The human body can be thought of as the vessel with which we give a holy Yes to life and transcend up against the spirit of gravity with lightning speed! While the modern so called “philosopher” or “revolutionary” only seeks to contain the spirit inside the vessel of the body, TDAS launches it only upwards! Once the vessel is overcome it then becomes the ultimate weapon, a weapon that can no longer be contained by any system. Further the spirit is also released in a flash of lightening and becomes the most feared weapon of the enemy! It becomes both a hammer and a sword, a hammer to obliterate the chains of the spirit of gravity and a sword to slice through the throat of the little men who hold the chains! This philosophy can be seen as picking up the pieces and solving the riddles of Nietzsche who famously once said “He who fights with monsters should look to it that he himself does not become a monster and when you gaze long into an abyss the abyss also gazes into you.” Yet Azsacra Zarathustra’s philosophy goes much further than Nietzsche’s famous saying as well as his philosophy and even the Overman! With this philosophy it won’t be you who is consumed by the abyss but quite the opposite! Through this unique and revolutionary philosophy the abyss FEARS you! Through Nothing to Power and Emptiness to Supremacy as well as a holy Yes to life you shall give a holy NO to death! When death stares you in the eyes you can laugh and mock death and when death’s venomous fangs bite you on the throat it becomes nothing more than a mere scratch that barely breaks the surface. When the flame is burning your flesh you will not think “when will this pain end” but rather “is there any flame that can cause me pain?” You will learn that so called pain only hardens the Will to Power and Will to Life which in turn causes a hardening of Nothing to Power and Emptiness to Supremacy! Through the absolute break of the spirit you will attain a limitless ability of resistance! This revolutionary philosophy is the hammer that is needed to dismantle and destroy the systems and –isms that the enemies of the spiritual revolution have. While Nietzsche taught how to philosophize with a hammer, Azsacra’s philosophy IS that hammer. This hammer is needed to crush the failed systems and ideologies of the would be murderers of the spirit. Many have tried and shall try to prevent this over revolution of the upward momentum of the spirit but they will be left behind and crushed! The over revolution and revolution of the pure over and over without man is one that will ALWAYS crush its foes leaving them as a meal to the vultures! Through a philosophy of pure action and not just empty corroding words the enemies of the spirit are helpless and shall be destroyed and left as dust scattered by the wind! I must concluded by asking the reader a question, would you rather remain slavishly limited by the illusion of power giving to you by the little men who hold the chain or do you wish to become the lightening? Do you wish to remain as a sheep only grazing in a contained posture awaiting slaughter? Or do you wish to become like a bird of prey? As for my part I will proclaim with the loudness of a thousand thunders a holy Yes to life and become the bird of prey picking off the little men who seek to imprison me! I will become the Yes-sayer who will laugh in the face of the enemy and spit in the face of death for no chain will contain this spirit! Hail to the lions, the great Midday is upon us! Let the inevitability of the spiritual revolution commence!